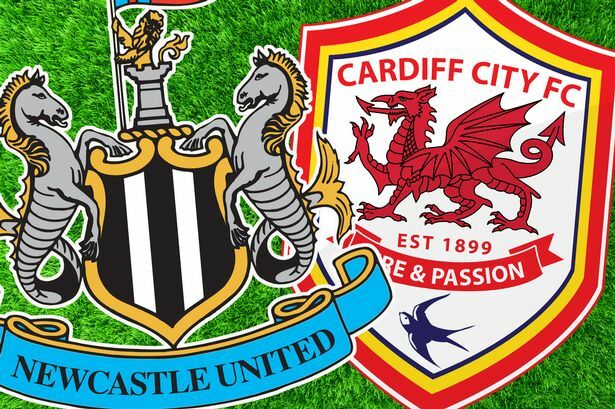 Newcastle United will be hoping to give their frustrated fans a proper send off when they face Cardiff City in their final home match of the season on Saturday. The Magpies have had a terrible second half of the campaign. Injuries, suspensions and inconsistencies have all played a part in the loss of form. Currently, the club have lost six consecutive matches. They have only scored one goal in that time, while conceding a woeful 17 goals against. The latest being a 3-0 defeat by Arsenal on Monday. Victory in Newcastle’s final two matches may not be enough to save Alan Pardew’s job. Meanwhile, Cardiff City has everything to play for on Saturday. The club is currently last in the table, two points away from safety. The Welsh club need to win their final two matches to have any chance of avoiding relegation. Midfielder Moussa Sissoko returned to action last week after missing several matches with a hamstring injury. Hatem Ben Arfa, who has missed the last few weeks with a thigh muscle strain could return on Saturday. Luuk de Jong is expected to return from an ankle injury. But Papiss Cissé (knee) and Davide Santon (hamstring) will both miss the final two matches of the campaign. Cardiff City will be without Spanish defender Juan Cala who received a straight red last week against Sunderland. Midfielder Craig Noone is expected to be out longer with a abdominal strain. Cardiff City manager Ole Gunnar Solskjær is under major pressure to avoid relegation. The club was safely out of the relegation zone when previous manager Malky Mackay was sacked in late December. The Bluebirds have only managed five wins from 19 League matches under the Norwegian. Solskjær has been very unpredictable with his squad formations during his time at Cardiff City. Fraizer Campbell is expected to play centre-forward for the club. The English striker has six goals this season. But highly-rated midfielder Jordon Mutch leads the club in scoring with seven goals. The Bluebirds have conceded the second most goals in the Premier League behind only Fulham, which likely means that Newcastle could expect to see plenty of scoring opportunities. Alan Pardew is under considerable pressure as well after a very poor second half of the season. Newcastle lined up in a 4-3-3 formation against Arsenal last week. Pardew could decide to go back to 4-4-2 on Saturday. Cardiff City will go into the match knowing that anything less than a win could mean relegation. The club has only two wins on the road this season in 18 matches. But the Bluebirds did beat Newcastle at St.James’ Park in the FA Cup in early January. Newcastle United have been decimated by injuries since the beginning of the year. However, despite the absence of Cissé and Santon, the club is not missing any other significant players. After beginning the season with a terrific record at home, Newcastle have only two wins in their last nine matches at St.James’ Park. Newcastle will come out with a good effort in front of their home fans. Cardiff City will play desperate but it will not be enough to overcome a more talented home side. The Magpies send their fans home happy.